From truly original designs to exclusive signature collections, as well as beautiful plants for every occasion, 1-800-Flowers.com delivers smiles in every imaginable way. The world's leading florist offers the best of both worlds: exquisite, florist-designed arrangements individually created by some of the nation's top floral artists and hand-delivered the same day, and spectacular flowers shipped overnight "Fresh From Our Growers." 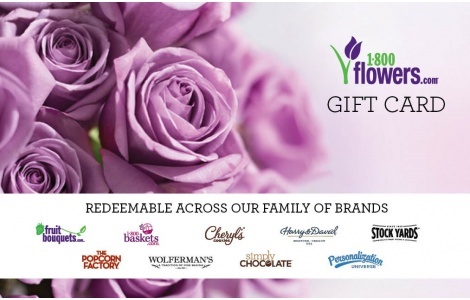 This gift card can also be redeemed at any of 1800Flowers.com nine brands.